The Dartmouth Multi-Pad is a 138,000 sq.ft. 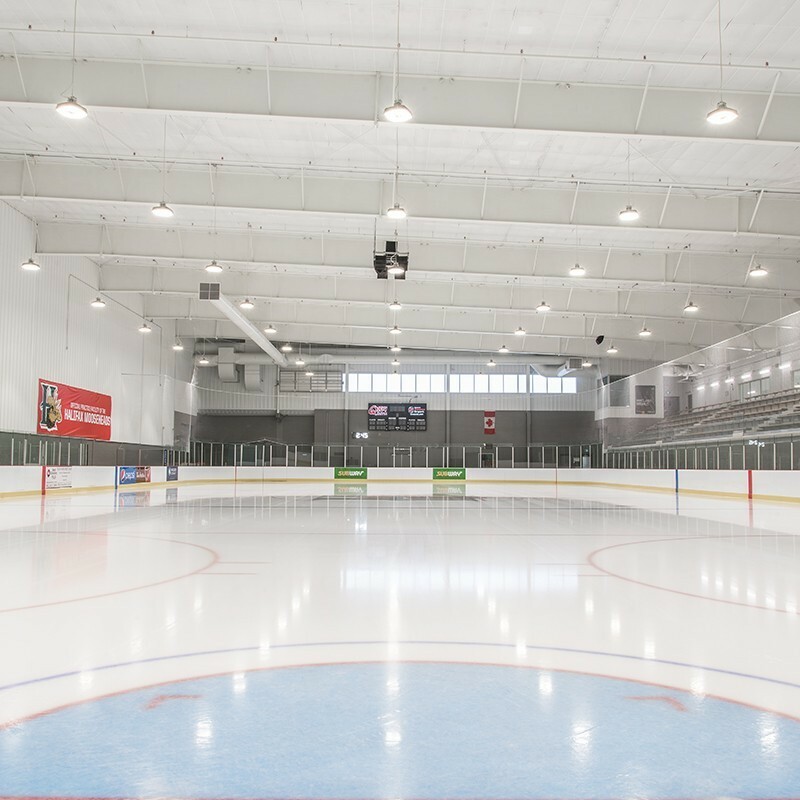 four pad ice arena (three NHL size rinks and one Olympic size rink). Wood Motors Ford, Fredericton, NB was looking to upgrade their exterior lighting in 2015 to LED not only to save energy but to improve light quality. Prior to upgrading the lighting at Wood Motors Ford they were using 23 fixtures at 1000W HID for the parking lot lighting, and 7 400W HID wall mounted fixtures and using over 92000 kW per year. After deciding to go with Cree we not only reduced their annual energy down to 32,500 kW but we improved the light quality by offering 90+ CRI, higher light levels, and better uniformity. With the new Frontline optics developed by Cree we are able to achieve over 24 foot candles and an average of 5 foot candles throughout. CREE TRUEWHITE® TECHNOLOGY A revolutionary way to generate high-quality white light, Cree TrueWhite® Technology is a patented approach that delivers an exclusive combination of 90+ CRI, beautiful light characteristics, and lifelong color consistency, all while maintaining high luminous efficacy – a true no compromise solution.